OMNET++ is a discrete event network simulator framework for versatile usage. We offer OMNET ++ projects for MAC which ensure simulation framework to manage cross layer information, channel access mechanisms, security protocol implementation and design MAC techniques. We implement OMNET ++ to simulate MAC layer retransmission RTS/CTS (Request to send/clear to send), radio MAC forwarding, reservation, fragmentation and service slots. We implement wireless LAN, wireless multicast network, wireless multimedia network, WAN, MAN are using MAC layer protocol with OMNeT++ to regulate medium usage which proposed from Elsevier papers. We use channel access mechanism for student project which split main resources among nodes and radio channels. 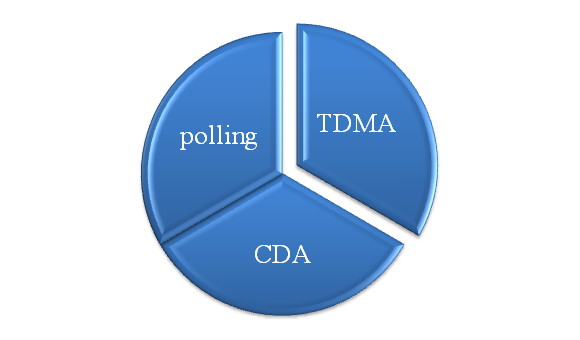 The major channel access mechanisms in MAC protocol are TDMA, CDMA and polling. In wireless communication system, base station has responsibility to coordinate network node. Time division multiple access divide time slot for each channel. We allot certain number of time slots for each node in network. We use TDMA as connection oriented which uses fixed packet size and symmetrical links for B.Tech projects. Channel access mechanism a part of MAC protocol which specify how to access medium by network nodes. It is an asynchronous message passing mechanism and suited for TCP and IP protocol. CSMA/CA start listening channel called as carrier sense. Source node send packet to transmission queue when queue is busy node wait for some amount of time called contention. After contention time expire node send packet to neighboring nodes. Various network standards are using polling channel access mechanism. In this method base station control channel but content frame is not fixed base station send polling message for transmission, after receiving poll message and then node send transmission packets. 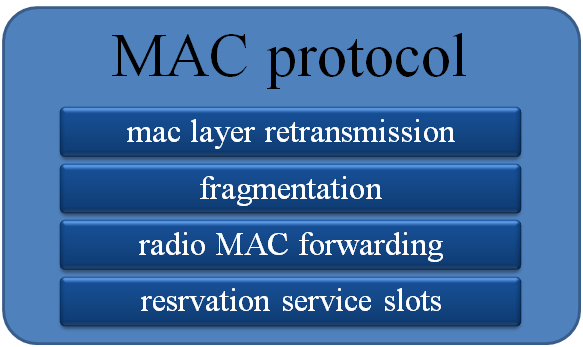 MAC protocol works on the basis of positive acknowledgement and MAC level retransmission At specific time interval transmitter node send packet to receiver node and in turn receiver node send Ack to transmitter node. When source nodes not receive ack message then it retransmits packets. Radio wireless medium have higher data error rate to eradicate problem we implemented MAC level retransmission approach with fragmentation algorithm in most academic projects to split large size packets into small pieces over medium. We use service slot and reservation mechanism in TDMA and polling channel access method. We implement OMNeT++ project with some scheduling algorithm to allocate regular interval time to process slot and reservation allocation. Wireless LAN differ from normal LAN connection it composed of some specific frequency range to establish connection. We designed more than 80+ projects with use of Adhoc network, access point, roaming networks based topologies with MAC level protocol to ensure effective communication.